* Check your NOAA Weather Radio, make sure it's batteries are fresh and it is programmed to alarm when a warning is issued. * Charge your cell phones before the storm arrives, in case the power or TV go out during or after the storm. * Make sure flashlights have good batteries. * Know your family's safe place and be sure it is ready. If it's a closet, clean it out ahead of time. * If you have to take shelter, have your shoes on, ID on your person, cell phone with you. 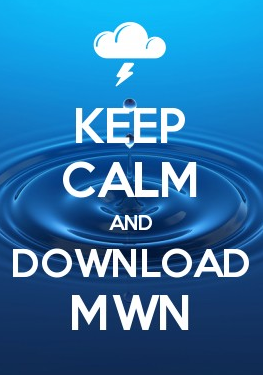 Check the MWN Storm Center for additional safety tips pertaining to different severe weather threats (link below). If a Tornado Warning is issued, sirens should sound, but do not count on them, especially indoors. They are for warning those outdoors. Take cover as soon as possible. If necessary, determine if you are in the path of the storm after you take cover. Severe Thunderstorms Warnings can and occasionally do produce tornadoes, especially if a Tornado Watch is in effect. During a Severe Thunderstorm Warning, pay careful attention to MemphisWeather.net or local media outlets for any additional information. Severe thunderstorms can also produce very high wind that can down trees and power lines. Be weather aware! MemphisWeather.net provides many resources to keep you safe during storms. Download the MWN App for iPhone or Android (search "Memphis weather" in the App Store or Market), sign up to receive severe weather alerts via e-mail, and follow @shelbyalerts and @memphisweather1 on Twitter and MemphisWeather.net on Facebook. On MemphisWeather.net, the MWN Storm Center has the latest watches and warnings, as well as severe weather safety tips. Please read these BEFORE the storm strikes. StormView Radar is interactive and will show you warnings and hail and storm rotation signatures detected by the radar. Certainly the MWN Forecast will help you plan ahead for possible severe weather as well.